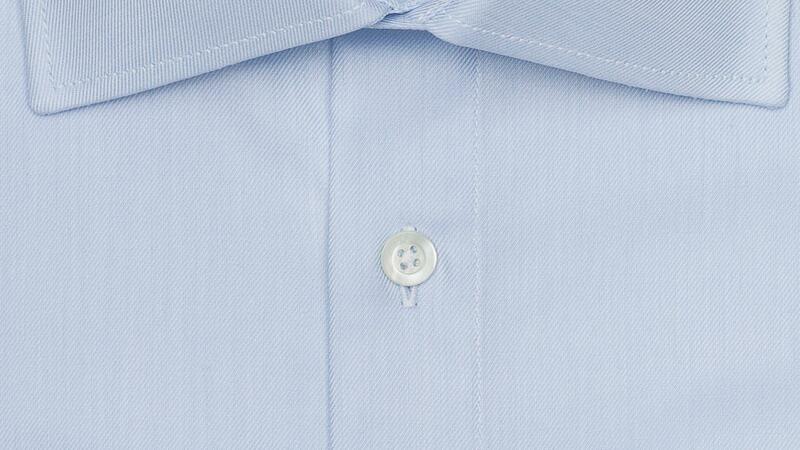 This is a refined take on the stale light blue shirt. It looks great with almost every suit color and pattern without overcomplicating the mixing and matching of accessories. The fine 100% cotton fabric by Tessitura Monti feels very silky with its 100s two-ply construction. 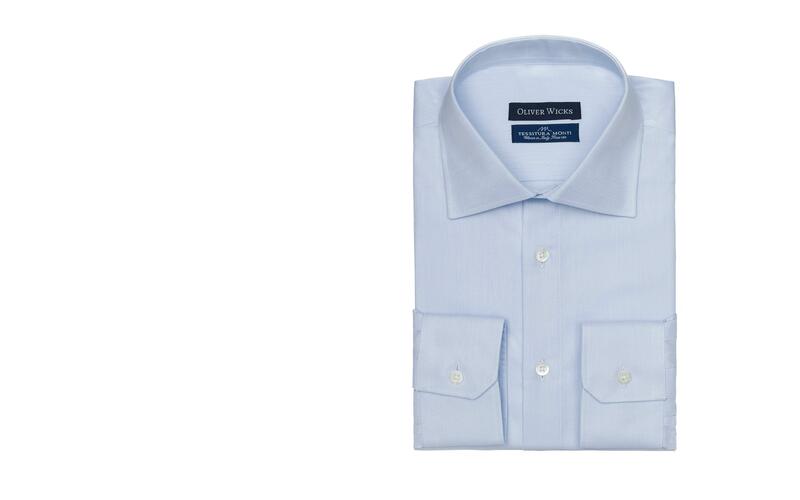 The default options feature angled cuffs and a cutaway collar, but you can easily change those to your preferences with a click on “Customize now”. 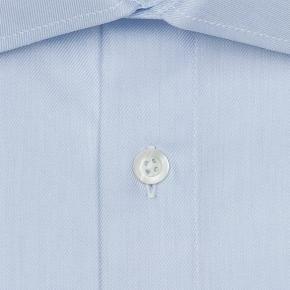 100% COTTON Woven in Italy by Tessitura Monti. Light-weight all seasonal (118 gsm).